Get a Free Limited Edition Toronto Maple Leafs Lil' Leafs Bodysuit! 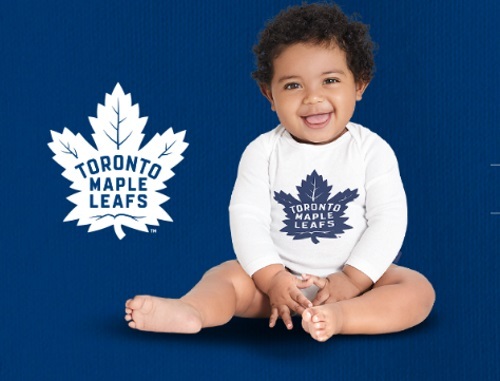 In commemoration of the Toronto Maple Leafs 100th Anniversary, Carter’s OshKosh is giving away size 6 months limited edition Lil' Leafs Bodysuits. Download your Lil' Leafs Bodysuit certificate. Print and present your certificate in store to receive your Lil' Leafs Bodysuit. Limit 1 Lil' Leafs Bodysuit per customer and only valid at select stores. Click here to request your freebie.